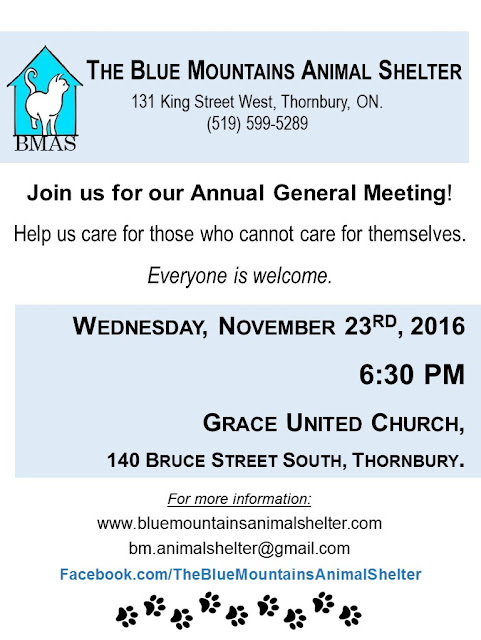 The Blue Mountains Animal Shelter: Annual General Meeting! Our Annual General Meeting is coming up this month on Wednesday, Nov 23rd! 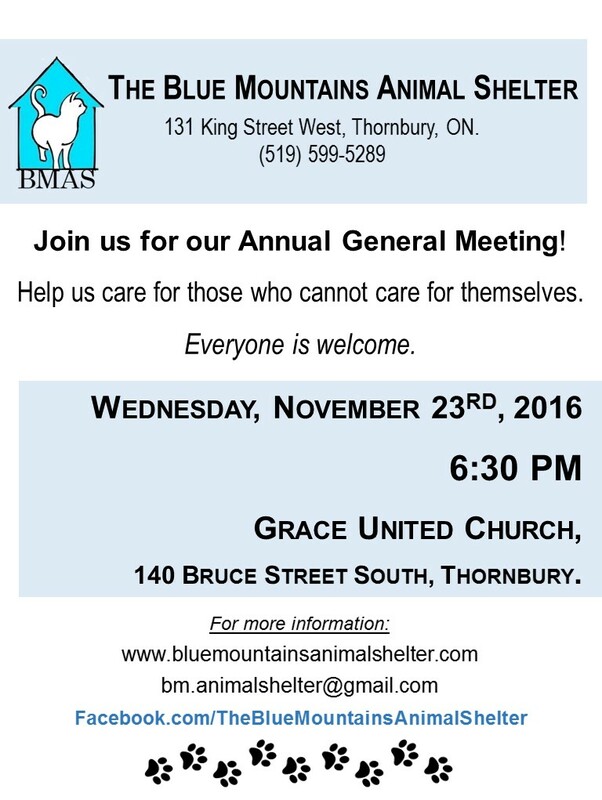 We encourage anyone from the Thornbury/Meaford/Blue Mountains areas who care for animals to come out to our meeting! We are looking for new board members, as well as store (The Cat's Meow) and shelter volunteers. Light refreshments will be provided.